I have not been regular with my posts this year. Especially about my embroidered tunics. I have a fondness for handloom cotton fabrics from India. And I work ethnic Indian embroidery on them. Sometimes I also get inspired and work on a particular idea. This is one such project. I had a maroon cotton fabric with beige stripes. 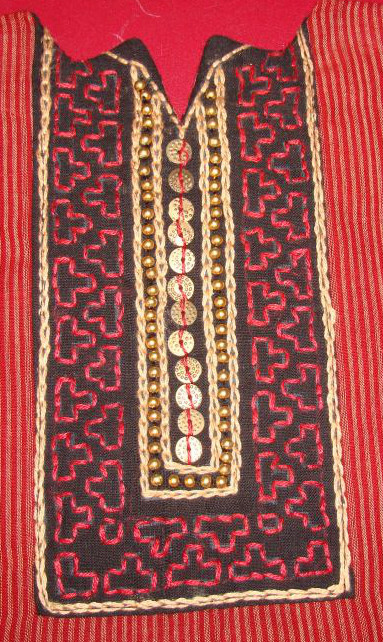 Being a sucker for traditional silk combinations, a black fabric was chosen for embroidery. Novelty antique gold beads and sequins were used for embellishments. 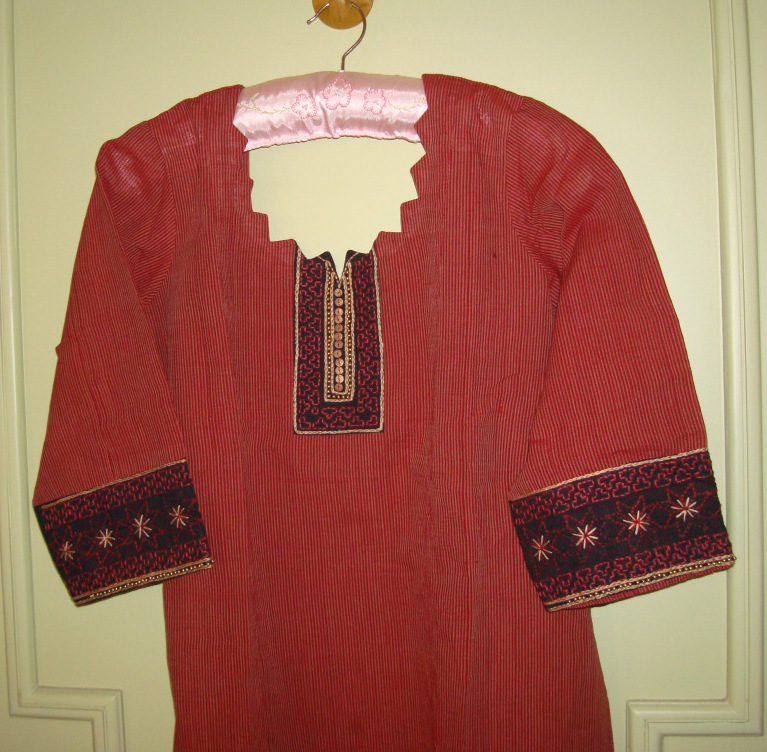 Maroon and beige colour threads were used for embroidery. 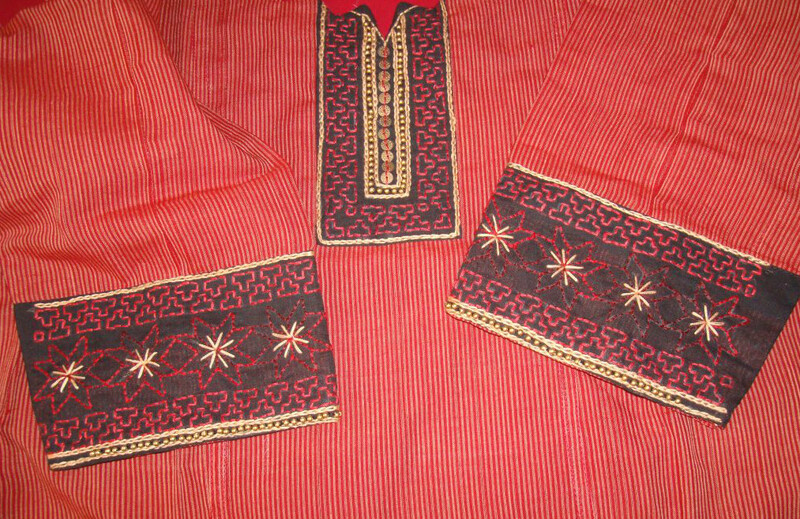 The sleeves had additional motif border in the centre which was worked with variegated thread. I wanted to do simple embroidery on this tunic, but this pattern can be used for more embellished work too. 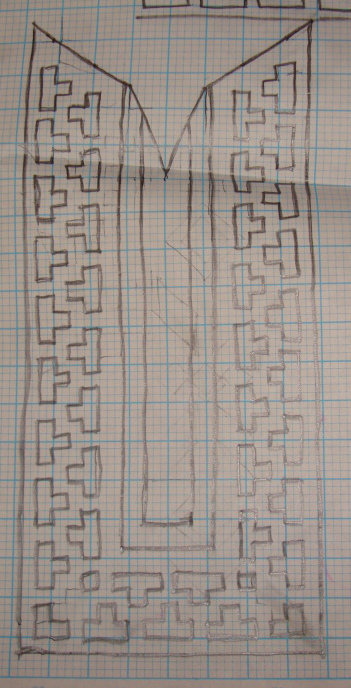 This pattern was just a small idea which I wanted to explore with beads. This pattern or embroidery cannot be categorized into any type.